Along with Natasha Mayers, Nora Tryon and Daniel Kany, I edit this arts and issues magazine from the Union of Maine Visual Artists. Usually over 80 pages, the Journal is published online for free on a quarterly basis. The Journal provides subscribers a high-quality venue for seeing work by Maine artists. Artists Rapid Response Team creates positive social change in Maine through the arts. Issue-oriented banners are our speciality! URI-EICHEN Gallery is an independent space for art and community building in the Pilsen area of Chicago. They will be featuring several pieces I helped design and paint from ARRT! 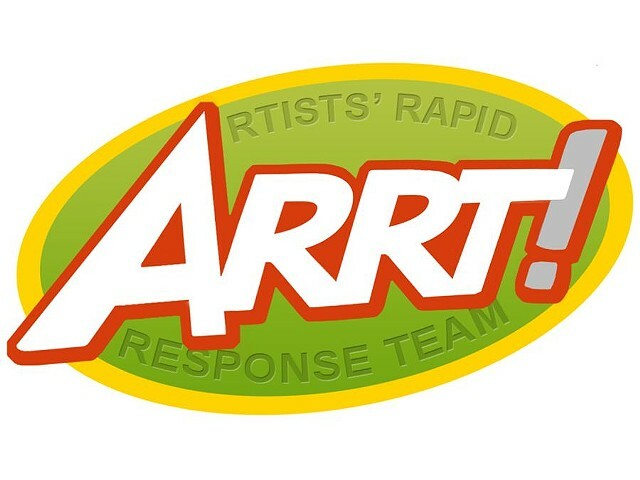 (Artists Rapid Response Team) from June 13 - July 5, 2014. Memento mori, Latin for “Remember your Mortality” has provided inspiration for artists for centuries. Even in the twenty-first century, ways of coping with the shadow of death continues to haunt aesthetic imaginations. The works in this exhibit explore the theme of mortality, mourning, remembrance, and memory.